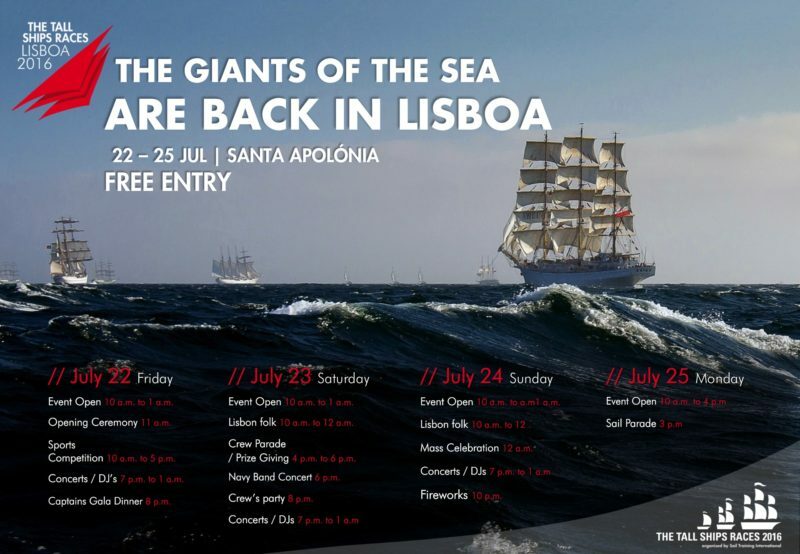 This unique and unparalleled event is happening during the 60th celebration of The Tall Ships Races, from July 22 to the 25th. This year’s edition will take place at the new Lisbon Cruise Terminal, a true Ocean Experience for visitors and trainees. Visitors will be able to climb on board to inspect some of the largest sailing ships in the world and have lots to sea and experience! We welcomed the Tall Ships Fleet for the first time in 1956, we look forward to welcoming you all back in 2016.